Although the laws aren’t quite in place yet, New Jersey is already making preparations to expand its casino industry with the introduction of sports betting. As previously reported, New Jersey has expressed confidence regarding the upcoming Supreme Court ruling on the legalization of sports betting. So much confidence, in fact, that they’re getting a head start to ensure that the transition, when approved, can and will happen swiftly. The Supreme Court is expected to announce its decision by the end of June, though it could do so as early as this Monday. Although the Supreme Court still has until the end of next month to make the decision, New Jersey is remarkably optimistic. There are already ample preparations being made for the Supreme Court ruling that could overrule PASPA as unconstitutional. If this does happen, it will undoubtedly open up the floodgates for legalized sports betting, and NJ lawmakers want to be prepared. According to The Press of Atlantic City, Assembly Bill A3911 has already been submitted by the New Jersey Office of Legislative Services. 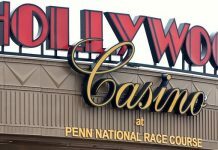 Introduced on Monday, May 7, the legislation sets out to build a regulatory framework for licensing and operation of sports betting at casinos and racetracks. In-person and online sports betting would be permitted only for people of age 21 or older. 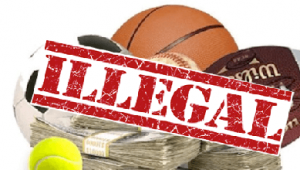 Although it would be legal to bet on professional and collegiate sports tournaments, most collegiate games that take place within the state or involve state schools would be prohibited. The bill would impose an 8% tax for sports betting revenue and 12.5% for online sports betting. It also requires an “integrity fee” from casinos and racetracks: a sum of $7.5 million or 2.5% of revenue (the lesser of the two), which would fund investigations to ensure the integrity of sporting events. In this case, Murphy v. NCAA, New Jersey’s argument is that PASPA is unconstitutional, violating the Tenth Amendment of the Constitution, which prohibits the federal government from infringing on states’ rights. The crux of the argument is that if the state government and its people are bound unwillingly to a state law imposed by the government, it’s unconstitutional. The outcome of this Supreme Court ruling could have a profound impact on the many other states hoping to capitalize on the market for sports betting. If overturned, states would be looking at a whole new market to explore and generate profit in. Like its lawmakers, New Jersey casinos are making moves. Ever since its announcement in April, Hard Rock Atlantic City has been working hard to prepare for its June 28 opening, but on Wednesday, it finally received its crucial New Jersey casino license from the Casino Control Commission. 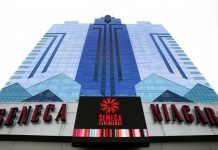 It has already reserved a space for a sports betting lounge if it is legalized. According to a 2017 report by Oxford Economics, if PASPA is struck down, New Jersey could generate over $173 million in tax revenue. 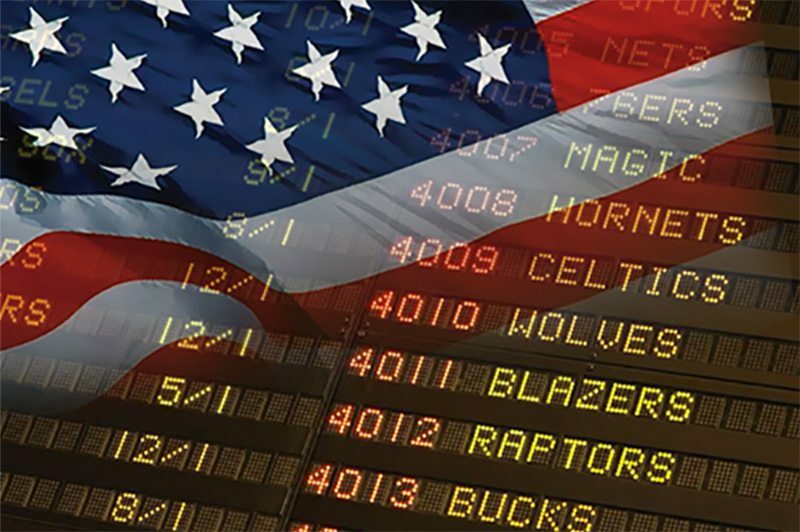 Countrywide, Americans spend an estimated $150 billion on illegal sports betting each year. The legalization of sports betting could generate up to an estimated $14.2 billion in U.S. GDP and up to $5.3 billion in tax revenues. Clearly, there’s much to be gained here, but could it be too soon? The casino industry in the U.S. has seen many false starts: acquisition deals that have gone nowhere due to failed bills; expensive projects that have gone bankrupt after years of preparations. Could legislators and sports betting agencies be jumping the gun now?